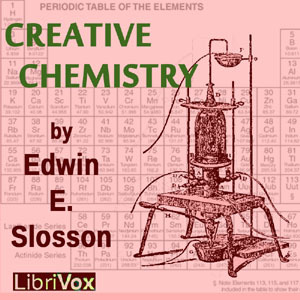 Listen to "Creative Chemistry" on your iOS and Android device. Slosson reviews the transformation of alchemistry from an obscure and imprecise practice to the science of chemistry. Along the way, he explains how the modern industrial world now relies on fertilizers, explosives, textile materials, polymers and metals. By exploring the properties of a once undervalued element, the high strength of vanadium steel made the Ford car possible. Another element, cerium, appears in butane lighters and was once seen as a threat to the match industry in France.